Contact us for more information and to arrange a free trial session. £3 per session or £2.50 for multi bookings. We are now taking entries for our very popular annual event. Come and join in with the fun, whilst there is space!! We have been fortunate in being nominated as one of the projects for the Coop Local Community Funding Project over the last 18 months. 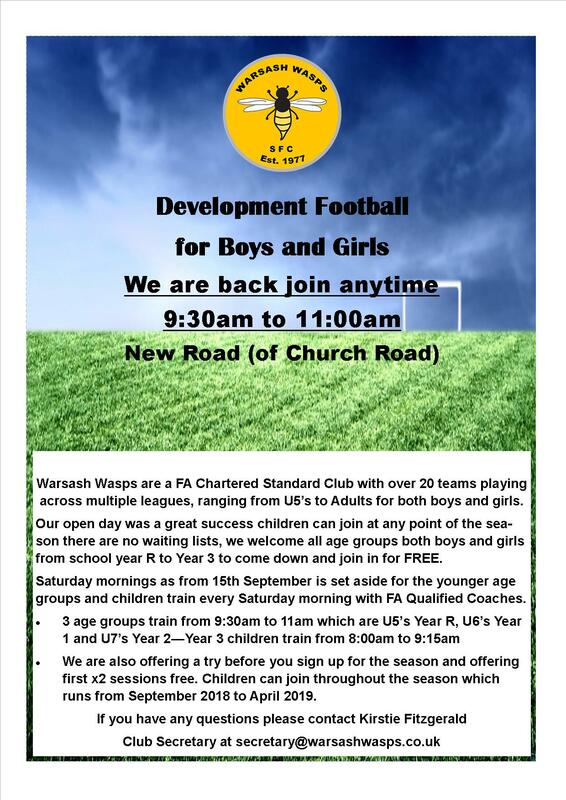 Initially with the Coop in Warsash and more recently with the Park Gate Branch too. 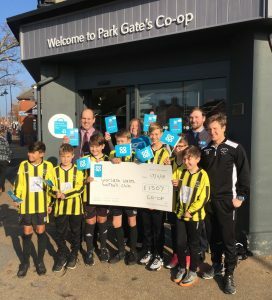 We would like to say a huge thank you to the Coop and its members for all the money raised for the Club during this time. 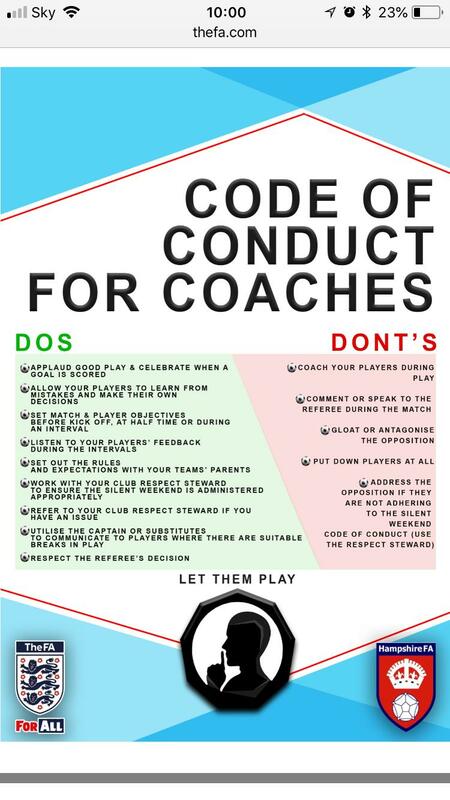 Development Training has recommenced!! Boys & Girls come and join the fun on a Saturday morning!!! We are delighted to announce a new sponsor for the 2018/19 season. Willow Bay are a a UK based retailer of high quality home furnishings and garden furniture. 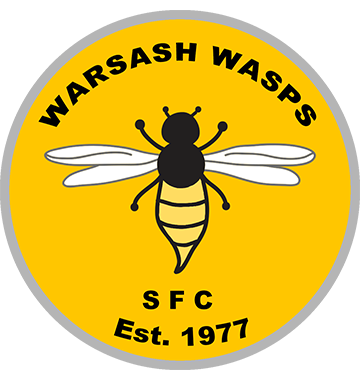 They are offering Warsash Wasps supporters a 10% discount on products (terms & conditions apply) – with any purchases also giving the Club a 5% sponsorship commission. When shopping on the Willow Bay website please use the link below to register as a Warsash Wasps supporter – as this will then allow a deduction of the 10% discount at checkout. If you do shop via the website www.willowbay.co.uk without using this link you can use the Discount Code: AFL-GUOE. Both the link and the discount code, register the sale and add the discount at checkout. We would like to extend our thanks to the Willow Bay Team for offering this sponsorship and look forward to working with them this season.